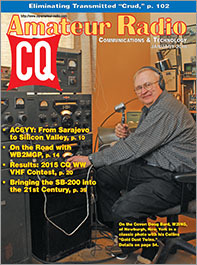 CQ begins its 72nd year of continuous publication with an issue that demonstrates the breadth and variety of amateur radio. 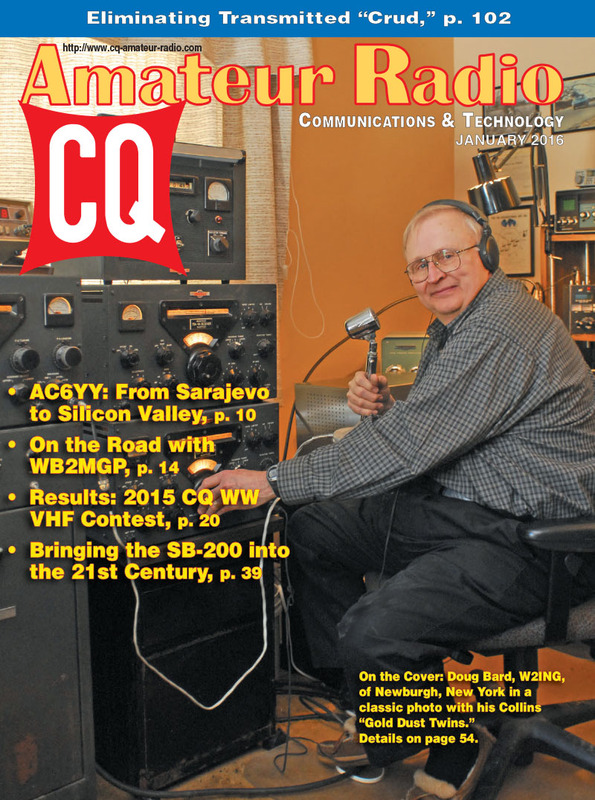 We start with a look at the incredible journey of AC6YY from war-torn Sarajevo to California's Silicon Valley, aided at every step by his ham radio friends in several countries. Next, Carole Perry, WB2MGP, takes us on a different kind of journey, following her travels to different radio events highlighting the accomplishments of young radio amateurs. Then we move into the world of contesting with the results of 2015's CQ World Wide VHF Contest, as well as the rules for the 2016 CQ WPX Contests. 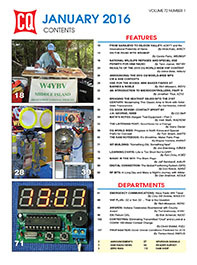 We also look at changes in the ARRL's rules for its VHF contests and a change in the rules for our own CQ 160-Meter Contest. 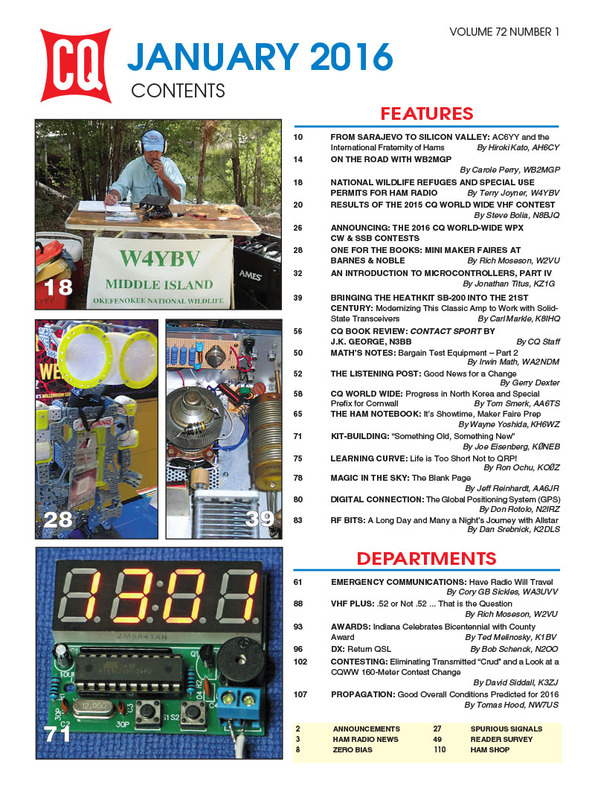 On the technical side of things, we continue our series on microcontrollers in ham radio; then we take a step back in time to bring the venerable Heathkit SB-200 amplifier into the 21st-century world of solid-state transceivers; and Contesting Editor K3ZJ digs into ways of eliminating "crud" from your transmitted signal (a topic that should be of interest to more than just contesters). We also take a look at the Allstar repeater linking network, how the Global Positioning System (GPS) really works, and follow up on December's articles on maker faires. That's a brief look at what's coming up in the January issue of CQ. For information on becoming a CQ subscriber, click here! Happy New Year from all of us at CQ! On the Cover: Doug Bard, W2ING, of Newburgh, New York, in a photo from our archives of him operating his Collins "Gold Dust Twins" station.